A couple months ago I had the fortunate opportunity to meet John Parker. I was helping him put some finishing touches on a Yeti ARC he was looking to sell when he told me he just bought back Yeti #1 from the original owner he sold the bike to back in 1985. Naturally my interest was piqued and I made the quick drive up north to meet up with him. 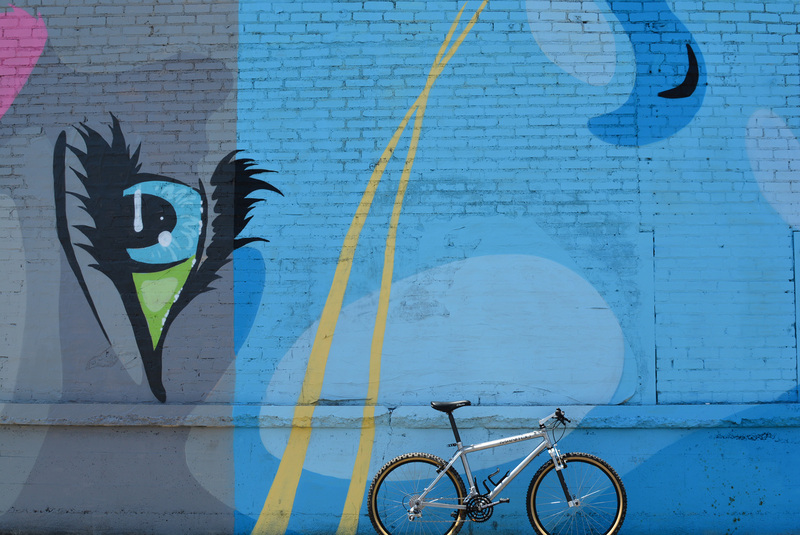 Luckily I ended up coming home with the bike and that set me off a bit to dig up some early history on the Yeti brand and try to do some sleuthing around and documenting the first year or two of production at Yeti. There is a lot of information and misinformation about the first batches of bikes to come out of the legendary brand and I for one am a bit of a fanatic when it comes to discerning fact from fiction. So, I pooled together some knowledgable friends and starting digging into it. This post will undoubtedly get some revisions as more info comes out and I'll do my best to update it. 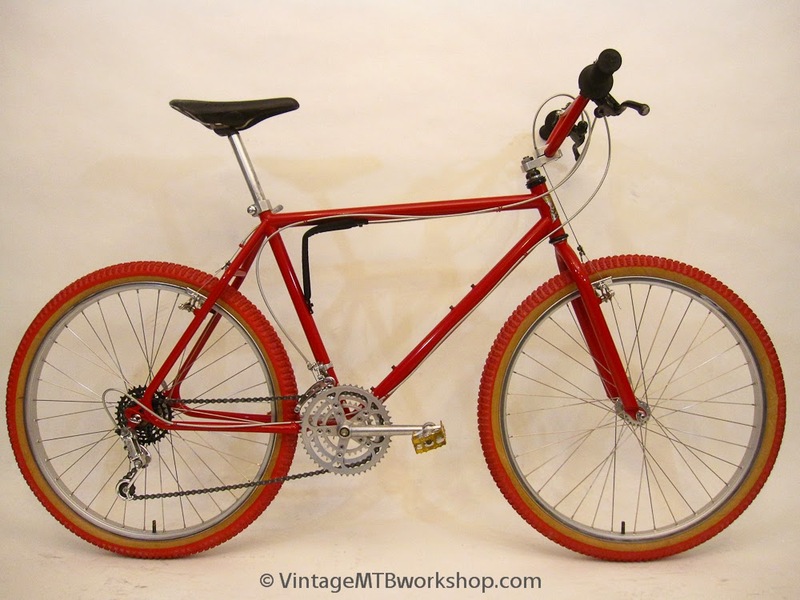 1981 : Sweetheart cycles is founded by Bicycle Bob in Southern California. 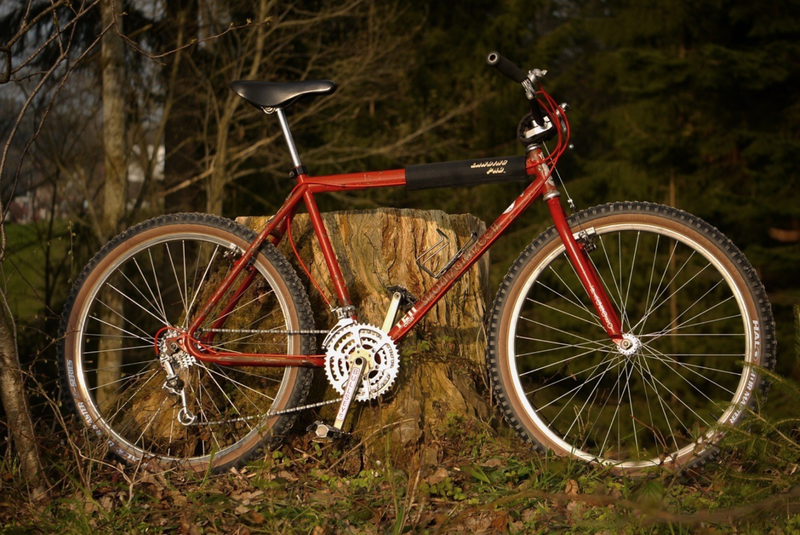 The Motocruiser is available for purchase as a frame and fork. 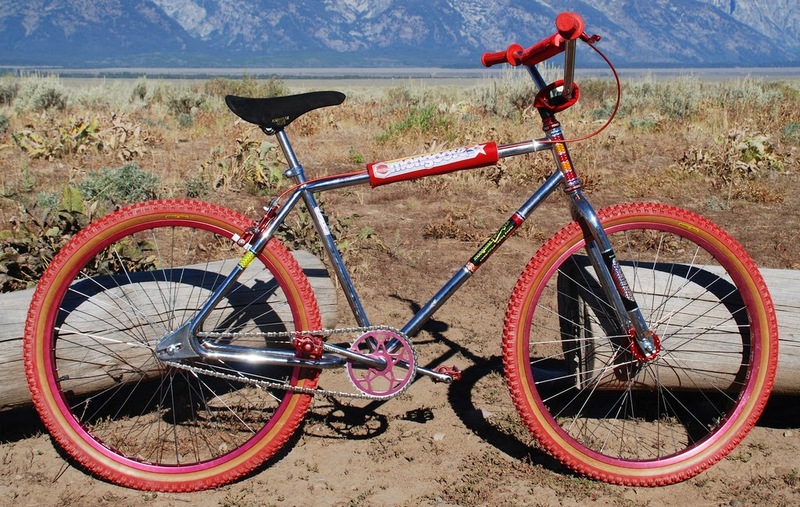 Design is heavily influenced by the Mongoose BMX Koz Kruzer, tubing sourced from Redline and Phil Wood (oval top tubes). Lindwall tool and die provide a lot of the tooling, jigs and even weld some of the bikes. 1982 - 83 : John Parker is working as a special effects welder for the movie industry in Hollywood. John gets connected with Bob via Lindwall Tool & Die (where he was also working/apprenticing as a fabricator) and begins to work part time welding @ Sweetheart cycles. John was an avid sprint car and dirt track motorcycle racer and an all around gear head. Wilson ends up in jail and John buys the tooling and inventory and continues to build the bikes under the name Sweetheart Cycles. Aaron Cox wins the "Reseda to the Sea" on a Motocruiser. 1984 : John has a big Sprint Car crash, forcing him into a long time hospital rest where he rethinks his future. Along with his wife Linda they decide to make a living out of building racing mountain bikes. He sells his 1928 Indian Motorcycle and with additional funding from his father in law starts the company. Right around the same time the sleeping bag company folds and they buy the rights to to the name Yeti. A legend is born! The first three "Yetis" are built in the back Matt Sweeney's Special Effects Shop. On the name Yeti : "A Guy named John made Beautiful Down Sleeping Bags out of his house in Topanga Cyn (not Santa Monica) was using the name YETI ...Years later when I got in touch with him he told me that he had stopped making sleeping bags & had gone back to teaching college. When I asked about the name, he told me he never registered it! When I asked about the chances of me using the name for a mountain bike he was kool with it! When asked about some compensation for the name, he told me not to worry about it & to send Him a Yeti T-shirt. Some Day - JP. 2015"
1985: Frank Wadelton and Chris Herting join John and Linda and become the first employees of Yeti cycles. They change several details of the frame design, including moving all cable hangers to the drive side (FTW). First Yeti race team is formed including Russell Worley. 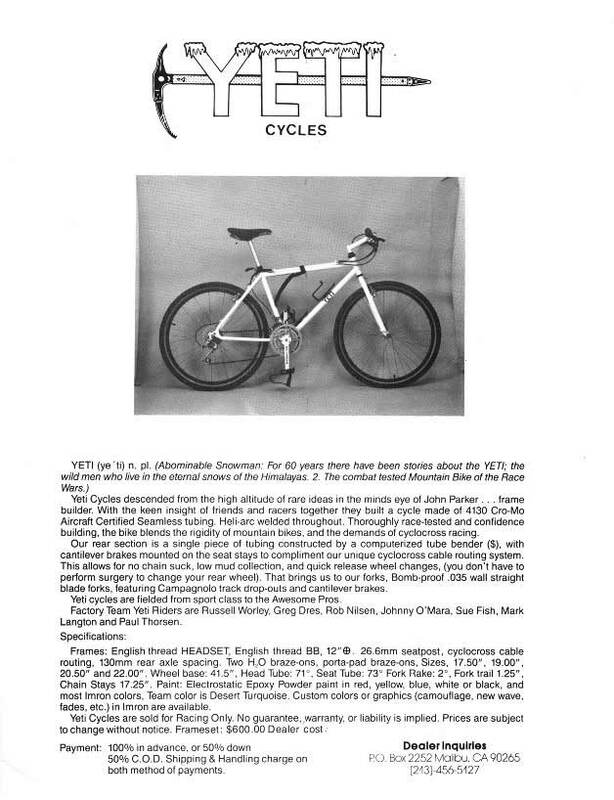 1985 is the official starting year for Yeti cycles. 1986 - 87 : As business picks up production moves first to Malibu (86) and later to Agoura Hills (87), the team grows to include Russ Worley, Rob Nielson, Mark Langton, Johnny O'Mara, Paul Thorson, Greg Dress, Kye Sharpe and Sue Fish. First Yeti catalog is published, things start picking up. I will discuss the later history of Yeti in subsequent posts. So, let's start with Sweetheart Cycles. I've come across a few samples of the Moto Cruisers, however I don't have a really good way of figuring out which came first, the lineage to Yeti is obvious but coming up with a clearly defined timeline is going to be tough. According to the owner of this bike this is one of the first two Motocruisers made in 1982, the other one being the bike that Aaron Cox rode to a victory at the Reseda Sea to Sea race. The assertion that this is one of the first can't be confirmed, but the bike is unique compared to the later MCs. According the the original owner of the above MC this one was also made in 1981 and was the second one built. Evidently the bike was raced to a victory in the Reseda Sea to Sea race by Aaron Cox. 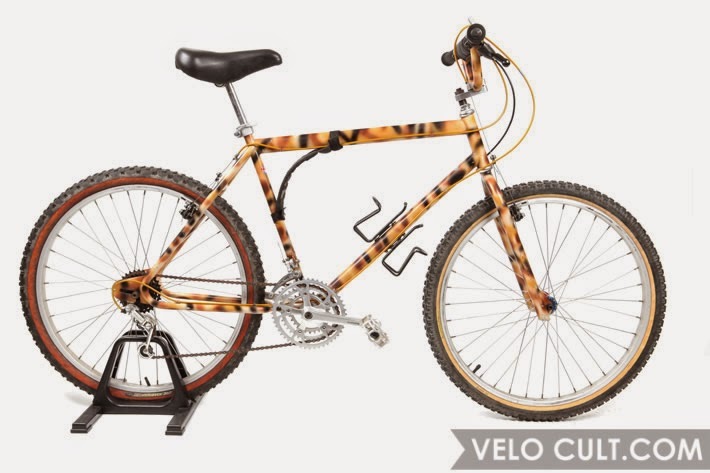 Apparently, John Parker modified the bike in 1984, which would explain why it looks more like a later MC than the camo model. This theory seems to hold up as both bikes have an oversize top tube, both bikes have the above BB cable guide for the front derailleur. However, it's hard to tell whether this was something that Bob only did early on, or if it was a standard feature. 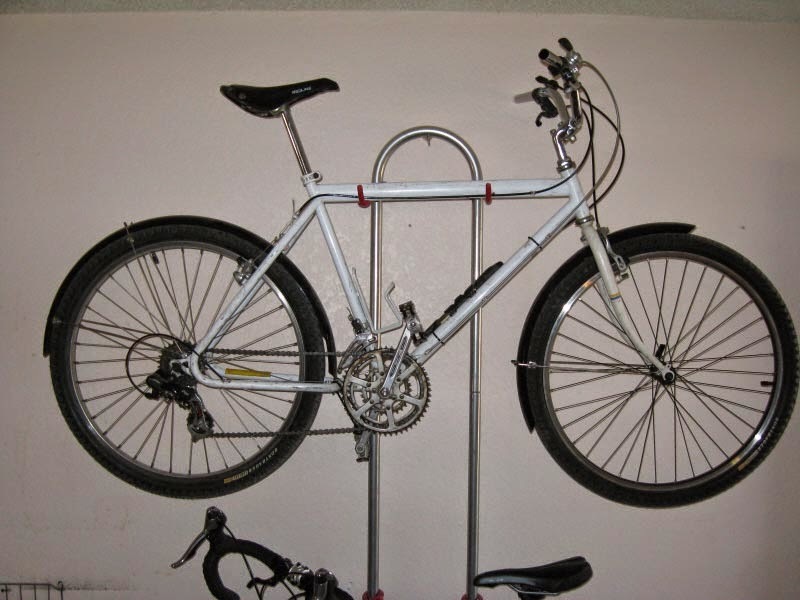 I'll go on to show a bike that was purchased in 1984 that also has this cable routing, as well as one that was supposedly purchased in 1982 that has top tube cable routing for the FD. This MC lives in LA and according to the original owner it was purchased in 1984, although the frame design would lead me to believe it was an 82 or maybe 83. Although much of the bike is not stock a few key features are easy to identify and point towards an earlier production time. 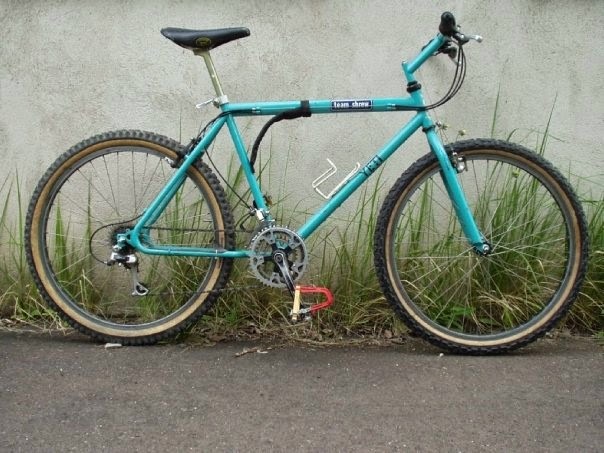 Although the original owner of this bike claims he purchased it in 1982, many of the features (cable routing, euro BB shell, fork design, top tube, 26.6 post) scream it's a later model, maybe a 1984. In fact I would theorize that this is one of the MCs built after John took over from Bicycle Bob and had not started calling the company Yeti. However, as most MCs were built to order and it's hard to say who within the company had more influence over the design at any point in time it's possible that it was really built in 82 and was simply built by John who was working there at the time. 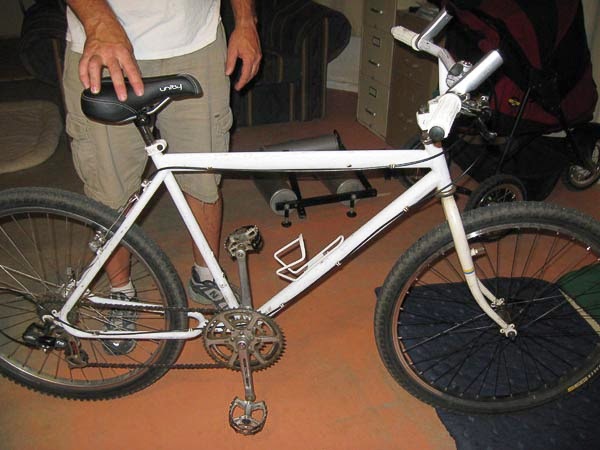 This particular bike was sold as a part of JPs sell off in 2002/2003 and has become widely known as Yeti #1 or the Prototype Yeti. I discussed the bike with John and he informed me that this is actually a Motocruiser, and it was his personal bike. 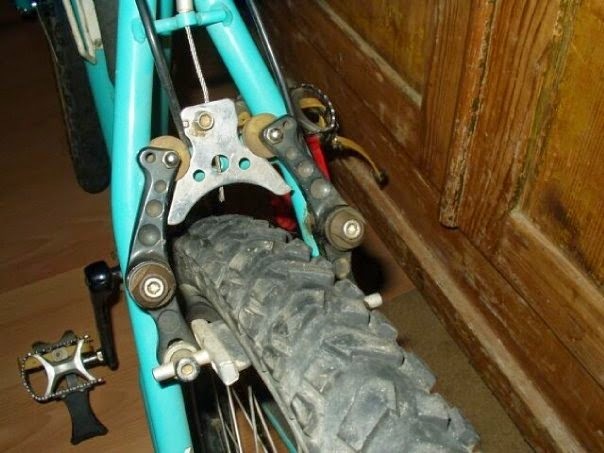 He did in fact perform some extensive modifications to the original frame, and in that vein this could be considered a prototype for a Yeti. 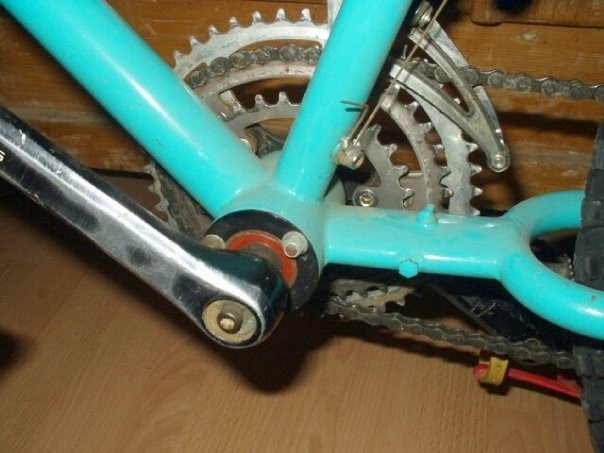 Here to can see the BMX style BB and what looks like several attempts at picking an ideal location to anchor the front derailleur cable (in support of top tube cable routing). Loos like John also experimented with a roller cam brake on this bike. I have only ever seen one another Yeti with roller cams, so clearly John didn't like it. Overall I don't feel like I have the Motocruiser thing all figured out. Sure, there are several things that appear to fall in line and serve as evolutionary steps along the way to becoming a FRO. 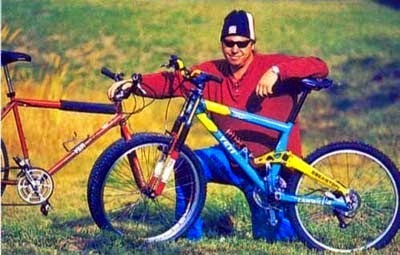 Also check my blog - Best Single Speed Mountain Bike - for the best mountain bikes in the world.